Choosing a new garage door opener doesn’t have to be rocket science, but it can be confusing with all the choice on offer! All you have to do is figure out the answers to three questions and you'll be on your way to a brand new fully automated door! What Type Of Opener Do I Want? 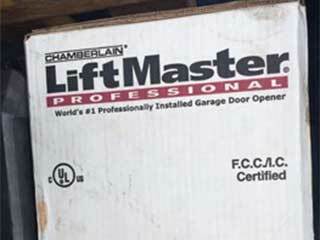 Most garage door openers installed today are either chain, belt, or screw-driven. When deciding which one of these to install, you should consider the level of noise you can put up with. Chain drive openers are quite noisy, so bear this in mind if your garage is attached to your house or if it's directly below one of the bedrooms in your house. Chain drive units, however, remain very popular because they are extremely durable. Belt-driven models generally open the door with less noise due to their smoother operation, however, they can be slightly more expensive. They also generally offer the fastest opening and closing speeds. On a spectrum with a chain drive garage opener on one end and a belt drive on the other, the screw drive mechanism probably lands right in the middle, balancing noise reduction, speed, and price. Residential garage door openers tend to come with motors in ⅓; ½; and ¾ horsepower (HP) variations. The model you choose will depend on the weight of your garage door. For standard-sized single doors made from light-weight material like steel or aluminum, a ½ HP model should be more than sufficient to lift the door without straining the motor. It’s also possible to fit a ½ HP motor to insulated or one-piece wooden doors - a stronger motor than this may seem like overkill. What Security Features Do I Need To Think About? In the past, automated garage doors posed a potential hazard to anyone in the path of the door while it was closing, leading to the introduction of security features. Safety sensors work to prevent the door from closing if an obstruction is detected while it's closing. Most well-known and reputable brands of opener motors will come with safety sensors as standard. Other safety features you might want to consider are battery backups to keep the opener functioning in the event of a power failure. If you or your family members are always losing remote controls, you might also wish to consider buying a motor that is Wi-Fi or Bluetooth-enabled so that you can operate it with your smartphone from wherever you are. There are lots of options available, it's all about choosing the right fit for you! Contact our professionals at Garage Door Repair Roswell today for further assistance!